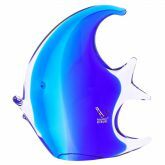 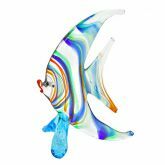 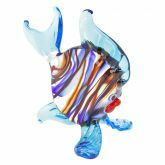 This delicate hand-blown Murano glass fish standing tall on its bright blue fins features swirls of vibrant colors flowing through its elongated translucent body. 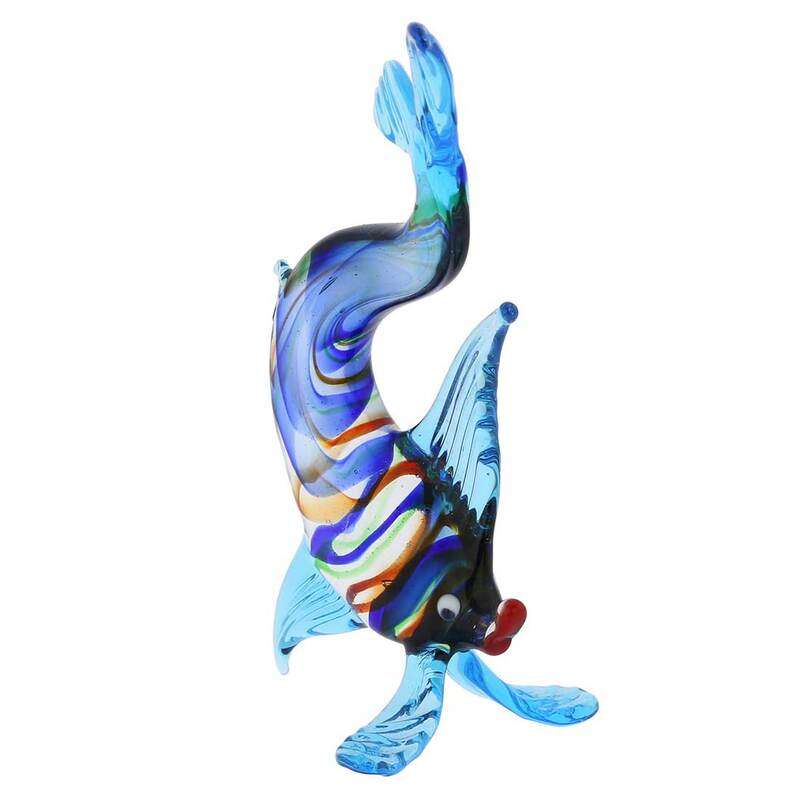 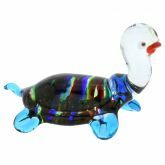 With its graceful design and cascade of contrasting colors, this figurine showcases the unique combination of mastery and taste that made Murano glassmakers world-famous. 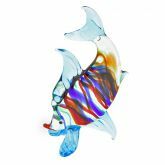 This beautiful glass fish will fit well into any interior design and will bring a glimpse of Venice to your home or office. 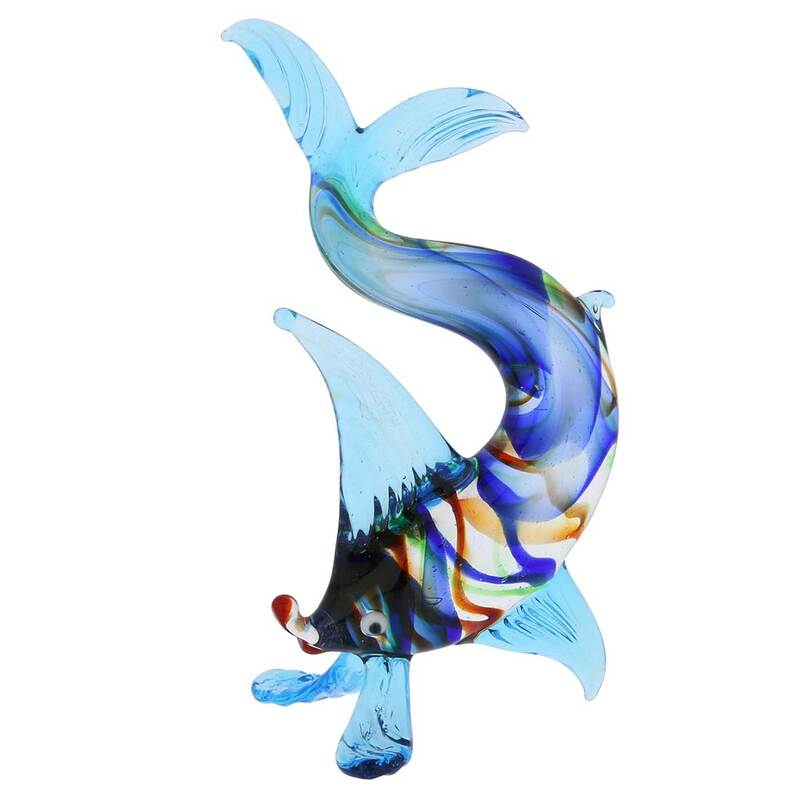 The fish measures 4 3/4 inches in height and 2 inches in width. 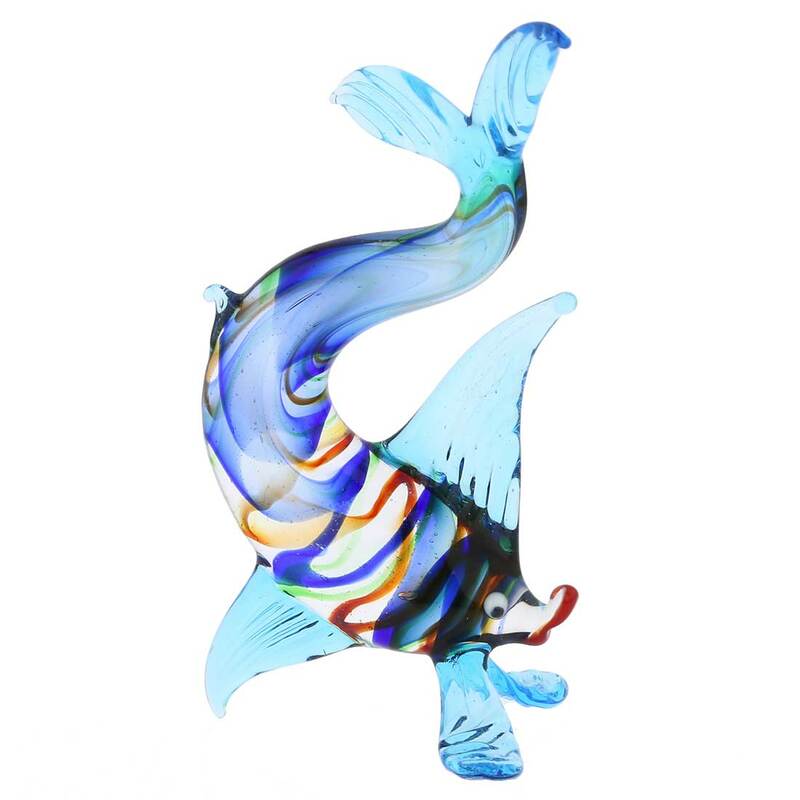 I have received my fish & I love it. 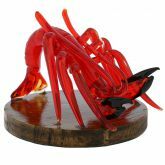 I previously had an orange one that was quite different but this one is beutiful.